2020 Calendar. Top markets: financial, health care, insurance. 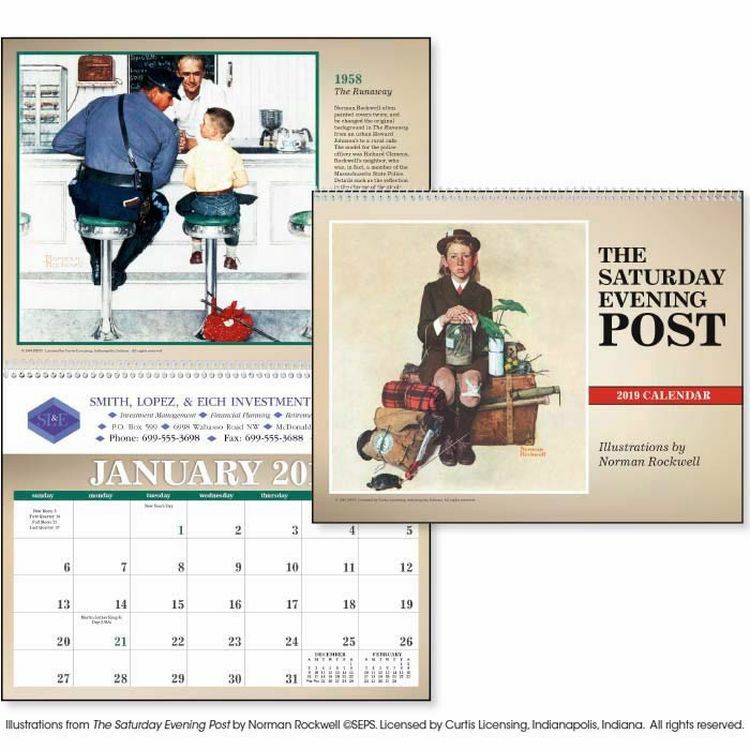 Illustrations from The Saturday Evening Post by Norman Rockwell ©SEPS. Licensed by Curtis Licensing, Indianapolis, Indiana. All rights reserved.PHANTOM OVERPRINT: Additional charges and minimums applyPHANTOM OVERPRINTS: Pricing for Phantom includes one color only, must be same color as ad copy or multi-color charges apply. Phantom must be the exact same copy and location on each sheet. We will enlarge or reduce artwork and screen it back to 30% for printing.IMPRINT COLORS: Imprint colors other than those showing in our General Information under Optional Imprint Colors will incur an Ink Match Charge.